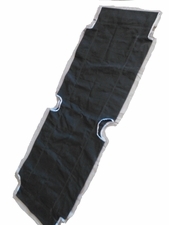 Replacement cover for US GI folding cot. This cover fits aluminum cots. It will not fit a wooden cot.